Psoriasis, Dermatitis, Eczema, are we ignoring them too much? In the first of a two part post covering Psoriasis, Dermatitis and Eczema, three of the most common and very aggravating skin conditions we see in our Dublin Clinic on a regular basis. The first of these will focus on Psoriasis. Did you know your skin is your largest organ and makes up 18% of our body weight! It is readily available for visual inspections and can tell us almost everything about the inside of our bodies if we look for it. Everybody’s skin is different, the tone, texture the pigment but more often than not we are all plagued by the same ailments and disease! Although it is good to note that Psoriasis, Dermatitis & Eczema are not contagious, but can have some serious risks if left untreated aside from the obvious itch and discomfort. Psoriasis is a skin disease which is usually seen in red, flaky and scaly patches nearly all over the body. For those who suffer with Psoriasis their skin cells grow too quickly causing the patches to appear. 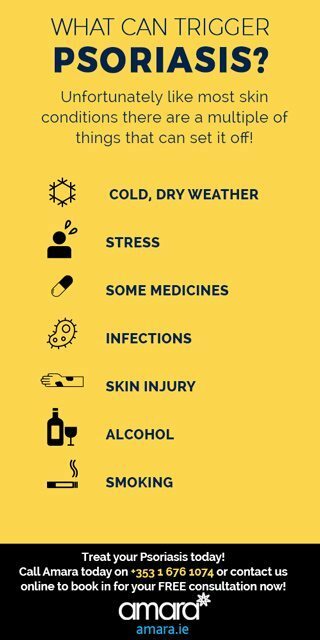 Inflamed skin is the first sign of Psoriasis, it can affect individuals in different ways and you may be suffering from some or all of the following if you have Psoriasis. These are often covered with loose, silvery scales. These can be itchy and painful, even crack and bleed. In serious cases, they grow and run into each other, making large areas of irritated skin. If you are a fan of the Kardashians then you’ll have seen Kim coping with Psoriasis and the red patches she has had to deal with! Your nails may change color or become pitted. They may also begin to crumble or detach from the nail bed. This is called Nail Psoriasis. Men and Women are as likely to have nail psoriasis and it can occur in people of all races. It can be very discomforting and like most has no know cause. Patches of scales or crust may form on your head. This is called scalp psoriasis, thankfully you can’t catch this from another person, like other scalp related itches. As with other types of psoriasis, there is no known cause. Doctors believe it is an immune system issue that may causes skin cells to grow too quickly and build up into patches. Unfortunately like most skin conditions there are a multiple of things that can set it off! This is will dry out your skin more more likely to cause flare ups. Like the majority of things in life stress will make it worse. It is always important to discuss Psoriasis with your doctor as some medicines cause cause flare ups to be worse. Infections such as strep throat or throat issues can cause flare ups. In some people, the tiniest cuts, bruises,and burns can cause an outbreak. Even tattoos or bug bites can set it off! Drinking particularly heavy drinking can cause flare ups and even interfere with medication. Smoking has lots of detrimental effects on your skin and this can be a reason for flare ups. How can we maintain our skin with Psoriasis? Is There A Cure? Salicylic acid: Salicylic acid cream or body wash promotes the shedding of skin cells. Steroid Cream: Steroid creams can stop the flare up and itchiness of Psoriasis. Some of these can have a very high strength so it is important to follow your doctor’s instructions exactly. Retinoids: These may not work as quickly as steroids. Shampoos can easily affect your skin, however these shampoos must be under supervision of a doctor. 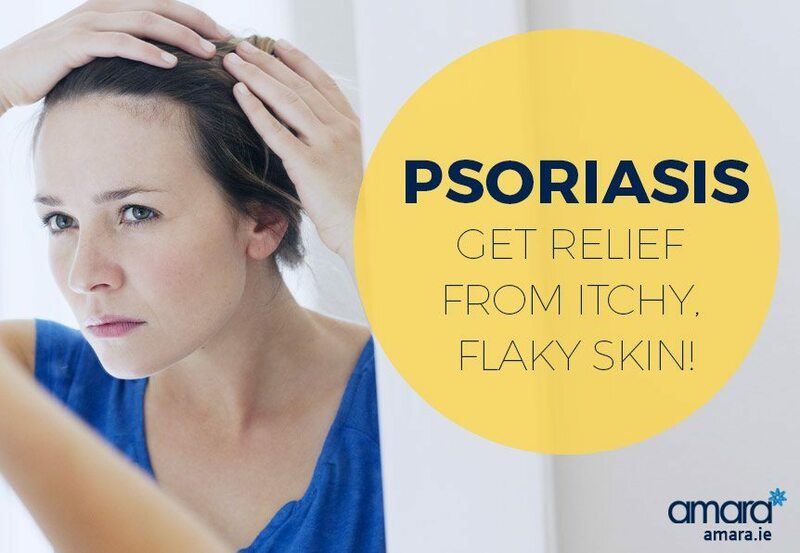 Do you suffer with Psoriasis? Do you have any tips and tricks for dealing with it? Comment below! Or to treat your Psoriasis or for any of the other skin issues, then give us a call on +353 1 676 1074 or contact us online to book in for your FREE consultation now! Next Week: Scratch the Surface on Dermatitis and Eczema!